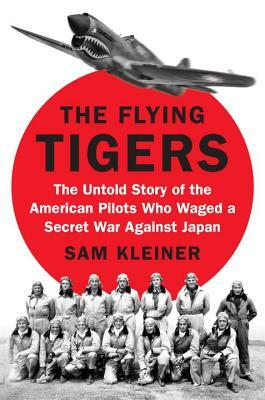 Sam Kleiner's The Flying Tigers uncovers the hidden story of the group of young American men and women who crossed the Pacific before Pearl Harbor to risk their lives defending China. Led by legendary army pilot Claire Chennault, these men left behind an America still at peace in the summer of 1941 using false identities to travel across the Pacific to a run-down airbase in the jungles of Burma. In the wake of the disaster at Pearl Harbor this motley crew was the first group of Americans to take on the Japanese in combat, shooting down hundreds of Japanese aircraft in the skies over Burma, Thailand, and China. At a time when the Allies were being defeated across the globe, the Flying Tigers' exploits gave hope to Americans and Chinese alike. Kleiner takes readers into the cockpits of their iconic shark-nosed P-40 planes--one of the most familiar images of the war--as the Tigers perform nail-biting missions against the Japanese. He profiles the outsize personalities involved in the operation, including Chennault, whose aggressive tactics went against the prevailing wisdom of military strategy; Greg "Pappy" Boyington, the man who would become the nation's most beloved pilot until he was shot down and became a POW; Emma Foster, one of the nurses in the unit who had a passionate romance with a pilot named John Petach; and Madame Chiang Kai-shek herself, who first brought Chennault to China and who would come to visit these young Americans.